Sure, the Amazon Echo and Google Home have been out for longer but with the HomePod, it shows that Apple is willing to try something a bit different from their usual iPhones, iPads and Mac computers. 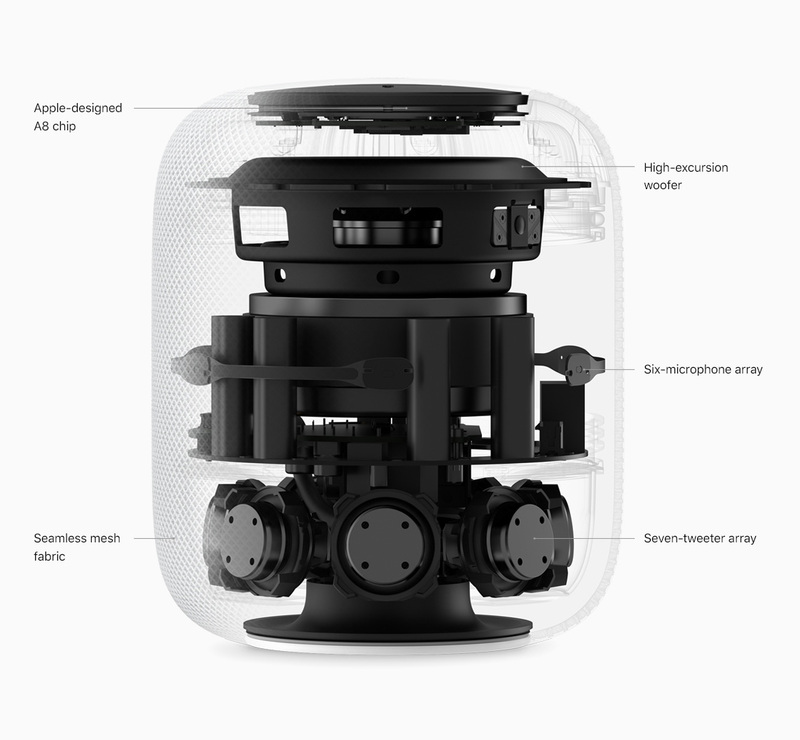 The HomePod is a well-designed product like all other Apple products (for the most part). It’s about 7-inches tall, which is a bit smaller than the Google Home Max. 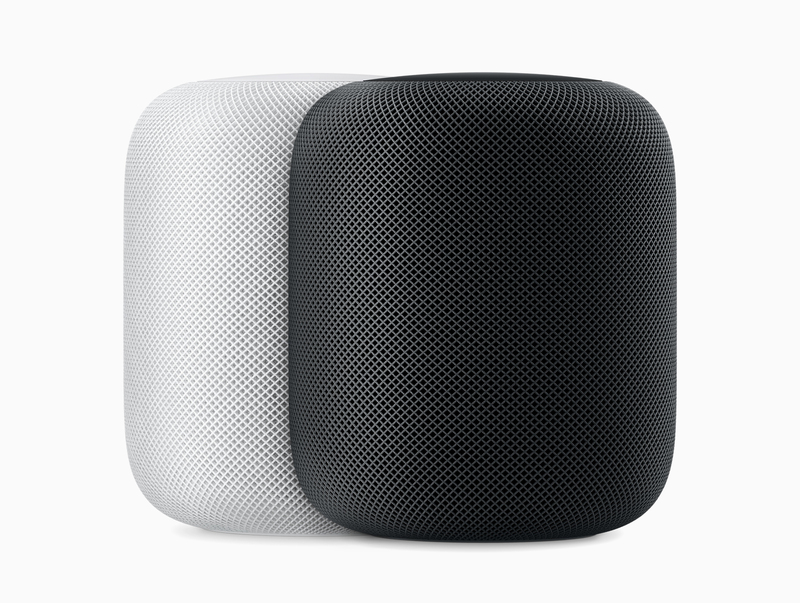 The HomePod is wrapped in a seamless mesh fabric that looks great and helps the speaker sound even better. Inside the device, you’ll find a seven-tweeter array, a high-excursion woofer, an Apple A8 chip and six microphones. The speaker has Siri built-in, and she is much more human-sounding than previous versions. Siri on the HomePod can do the same things that Siri can do on your iPhone or iPad. The HomePod has something called audio beamforming, real-time acoustic modelling and spatial awareness. That means that the HomePod can automatically adjust the audio so then it sounds great no matter where its placed. For the most part, the HomePod does sound good and can get pretty loud. You can say to Siri to turn up the volume to the max, and she’ll ask you if you’re sure that you want it that loud and you can either say yes or no. I had music playing at the highest volume and the speaker was still able to hear me say, “Hey Siri” to it. However, there were a few times, where nothing was playing and I had to say “Hey Siri” three or four times before the speaker would wake up. Another thing to note is that the power cord on the HomePod is not detachable, so don’t even try to remove it, it’ll cost you a lot to repair it. It’s kind of silly that Apple didn’t make it detachable, they could have made it either a lightning or USB Type-C port, instead of a priority cable that can’t be detached. To set up the HomePod, it’s just like setting up AirPods to your iOS device. 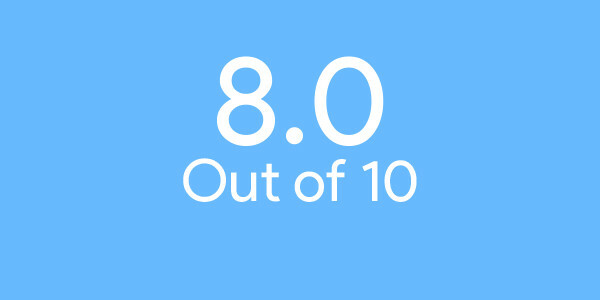 All you need to do is have an iPhone 5S or later, iPad Pro, iPad Air or later, iPad Mini 2 or later or iPod Touch (6th Gen) with iOS 11.2.5 or later and you should be good to go. Once you put your iOS device near the HomePod, it’ll pop-up with a message saying to set up the HomePod. If that doesn’t work, the alternative way to set up the HomePod is via the Home app. 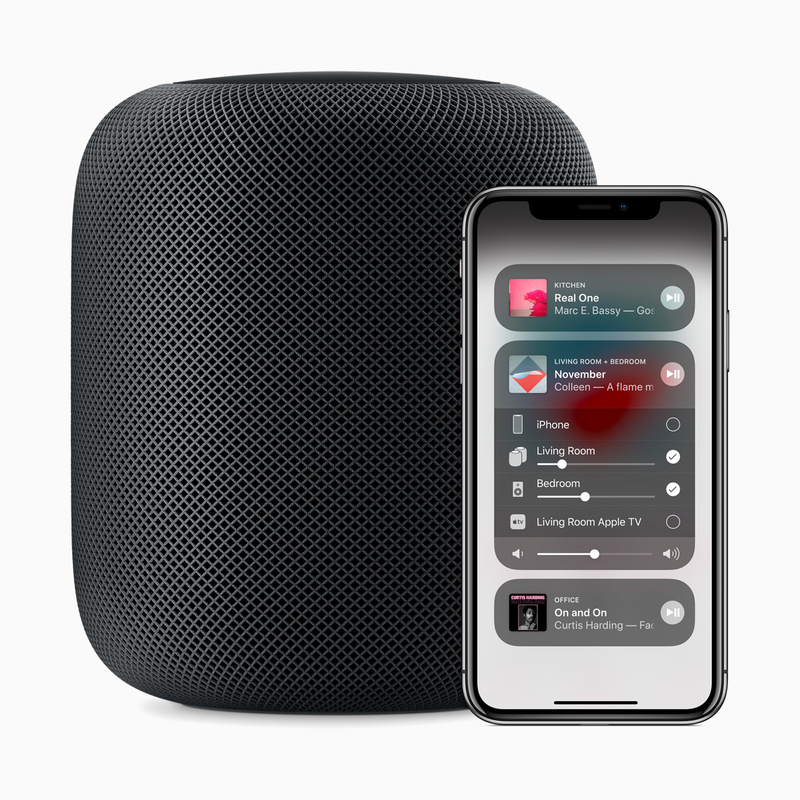 One thing to note is that you’ll need to set up two-factor authentication on your Apple ID to set-up your HomePod. 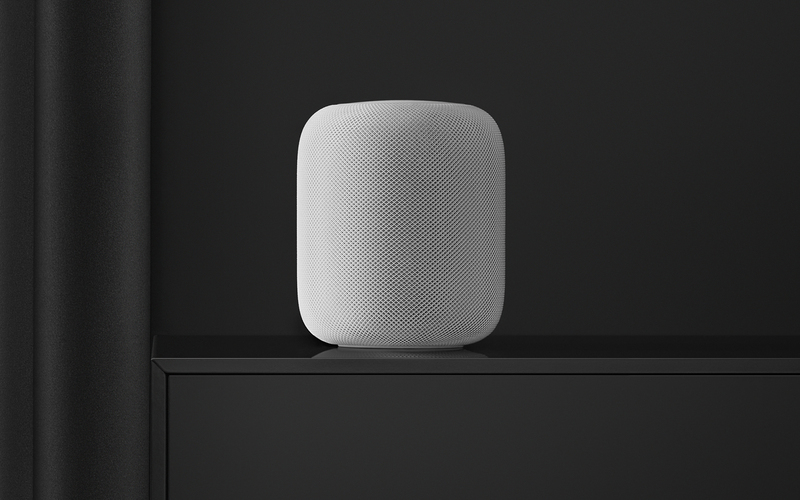 The Apple HomePod is now available in Canada, US, UK, France, Germany and Australia for $449 CAD ($349 USD) from Apple’s website. It comes in two colours, space grey and white. The HomePod has Siri built-in and you can ask her all sorts of questions but chances are she won’t be able to answer all of them like a Google Home can. At this point, the HomePod can’t do a lot, you can ask Siri questions or you can play music on the speaker. But you will only be able to play music via Siri on Apple Music. So as long as you have an Apple Music subscription, you should be good to go. 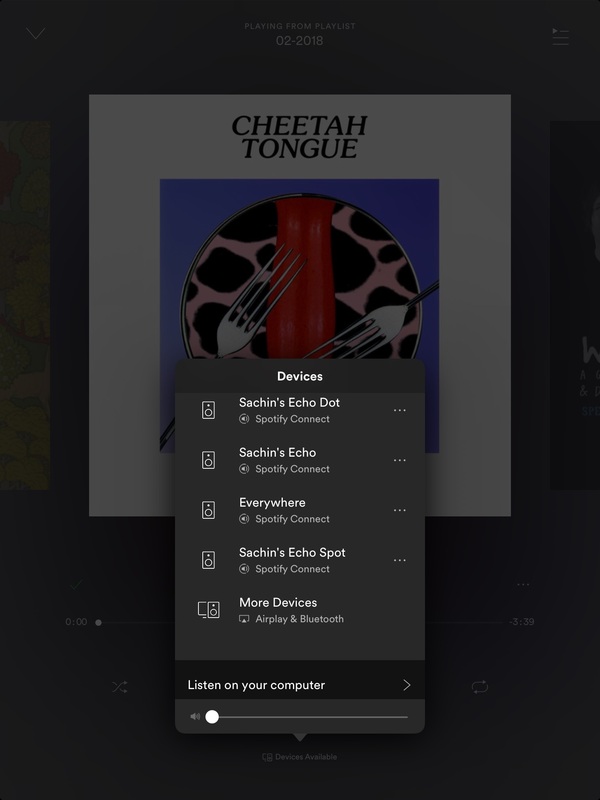 If you wanted to play music from Spotify, you’re not totally out of luck but you won’t be able to say, “Hey Siri, play Discover Weekly on Spotify”. If you wanted to play Spotify on the HomePod, you’ll first need to open up Spotify on your iOS device and then AirPlay it to the HomePod. From there, you’ll be able to play, pause or go to the next track using Siri on the HomePod. The HomePod can also be used to control your smart home devices, as long as they’re HomeKit compatible. I tested the HomePod with my ecobee3, and I was easily able to change the temperature of my home thermostat using Siri on the HomePod. 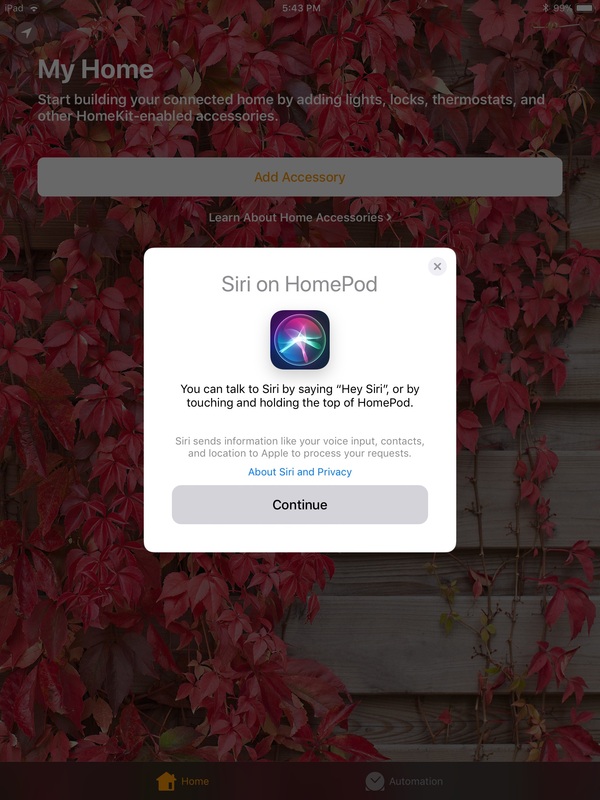 You can also use Siri on the HomePod to send messages to your friends and family, similar to how you can on your iOS device. You can also make notes, check calendar appointments and set reminders on the HomePod. 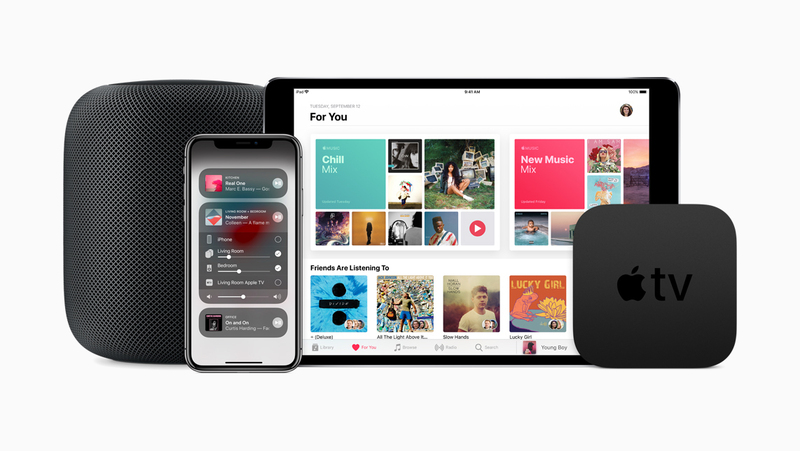 Apple recently added the ability to play music on multiple HomePods thanks to AirPlay 2. So you can have the same song throughout your home or just in one room. 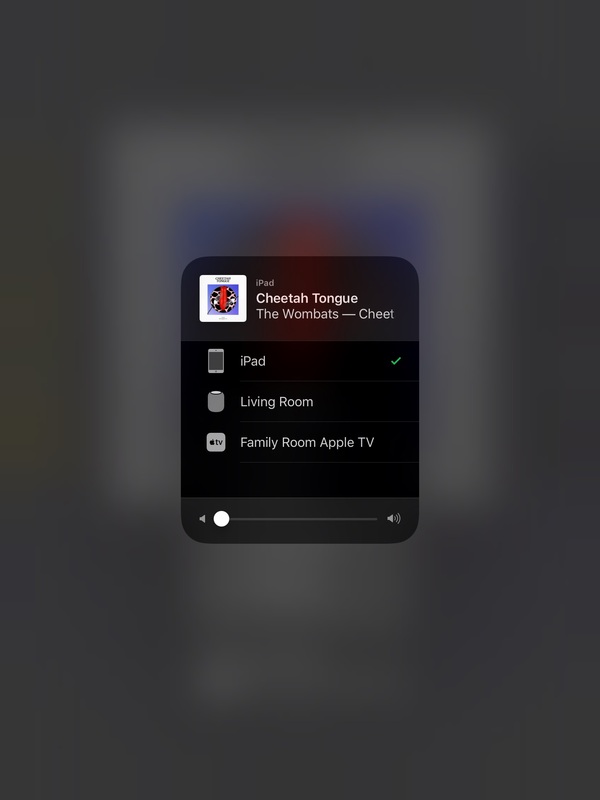 Multi-room audio playback can be controlled via your HomePod or Control Center on your iPhone or iPad with iOS 11.4. 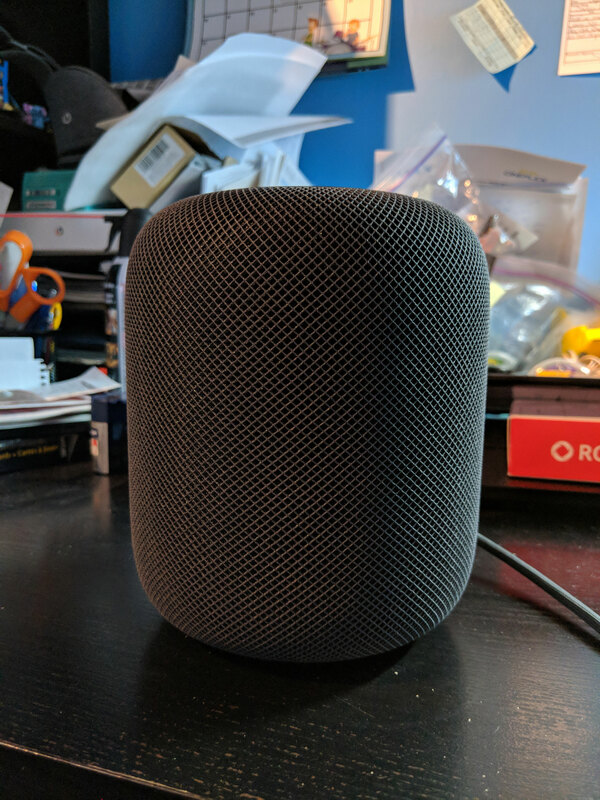 Overall, the HomePod is a nice-looking device that sounds great but at this point, it can’t do a lot. This is similar to when the Amazon Echo and Google Home first came out, they couldn’t do a whole lot when they first released but gradually they were able to do more. The same could be said with the HomePod, it’s just a matter of time before the speaker becomes even better.